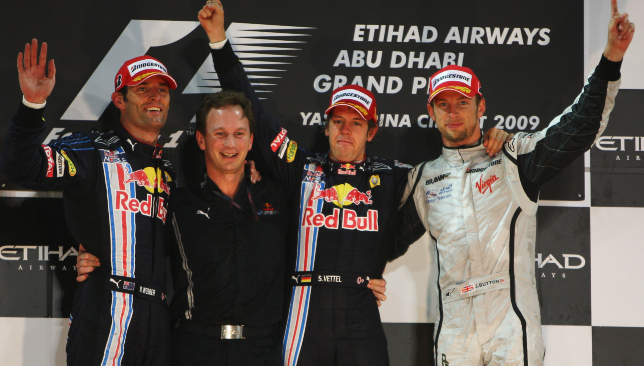 The winners' podium of the 2009 Abu Dhabi Grand Prix. Jenson Button summed it up well when he said he wanted to finish the season in style and have some fun. 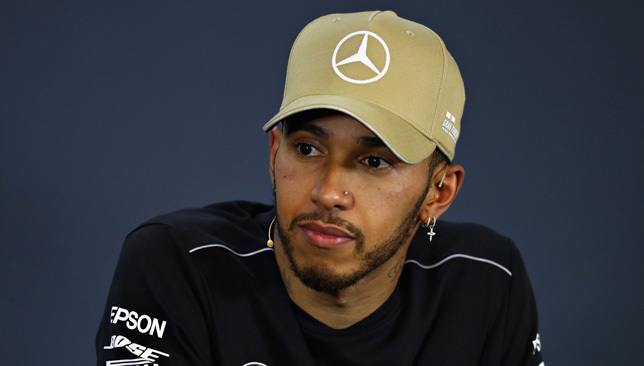 He and his Brawn Mercedes team were embarking on the first Abu Dhabi Grand Prix weekend just 11 days after securing the Drivers’ World Championship in Brazil, so no wonder the 29-year-old Englishman was in easy-going mode. 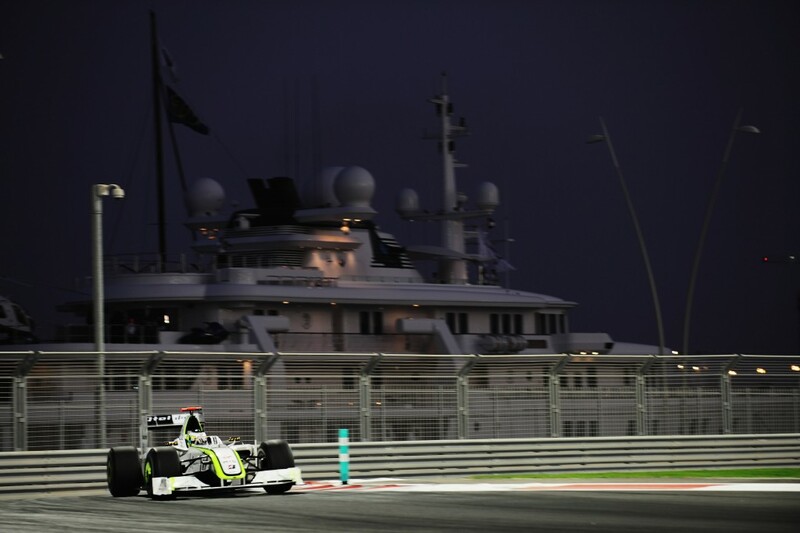 Jenson Button at the Yas Marina circuit. When things got serious in Saturday’s qualifying, Hamilton was first to claim pole at Yas Marina with a lap of 1:40.948 in Q3, though he had been quicker in both Q1 and Q2. Alongside him was Vettel’s Red Bull Renault – so neither Brawn could make it to the front row. But in the end neither the new world champion nor the pole-sitter could write his name in the Yas Marina history book – not yet, at least. Hamilton was sidelined by a right rear brake issue after 20 laps, leaving Vettel to bring his Red Bull home for the fifth win of his fledgling career. Button did, however, light up the race with his pursuit of Vettel’s teammate, Mark Webber, in the closing stages. 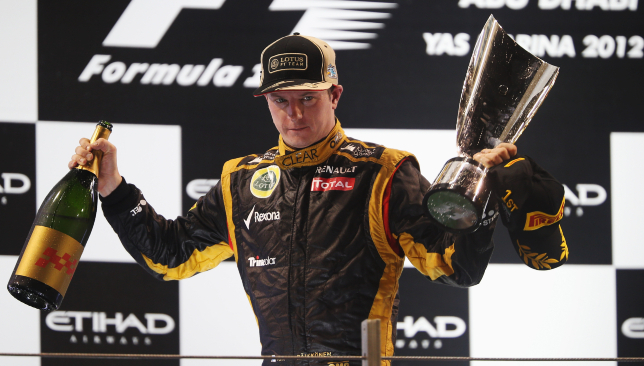 The Australian, fresh from victory in Brazil, produced one of the finest drives of his career to keep Button at bay and make it a Red Bull 1-2 finish ahead of the two Brawns. And in his typical pithy fashion, it was Webber who also had the last word on F1’s newest destination. ‘It’s an awesome place when it’s lit up,’ he said. The intervening years have done nothing to contradict that view.